Attorney serving Virginia, Maryland and D.C.
Coogen Law is a general practice law firm supporting individuals and small businesses. Michael Coogen has almost 15 years of experience concentrating in personal, business, and real estate matters. The first meeting will focus on getting to know each other. You will find Michael’s approach to be collaborative ensuring you are always in control. Mr. Coogen’s client base is primarily from referrals and return business. Call now and learn why. Michael A. Coogen, Jr. is a native to the Greater Washington metropolitan area and licensed in Virginia, D.C., and Maryland. Michael takes great pride in his personal and professional life and will provide the same care when handling yours. 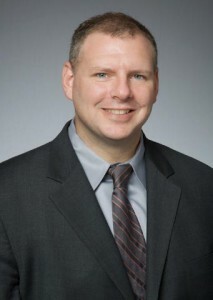 Mr. Coogen received his undergraduate degree, with distinction, from Villanova University and his law degree from Thomas M. Cooley School of Law. He has almost two decades working for law firms around the capital beltway. Primarily in Arlington and Alexandria but he has driven as far as St. Mary’s County or Virginia Beach for court. His full suite of services and litigation experience has created a client demand that motivates Coogen Law to be a different kind of firm. One that values honesty, information and options with fiscal responsibility. After all, as an attorney, he is a public servant who swore to protect the people in his community. Outside of his law practice, Mr. Coogen stays active with his faith, community and family.